Famous For: Shopping, Nature, History, Photography. Visiting Time: Any time during the day or night as per your choice. As the sun rises in the east behind the towering peaks of the majestic Himalayas, The Mall, which is the heart of Mussoorie, is lit up with joy and laughter. This is the busiest part of the hill station where the tourists and the local people gather to exchange a friendly conversation and enjoy the true culture of this serene and beautiful hill station. 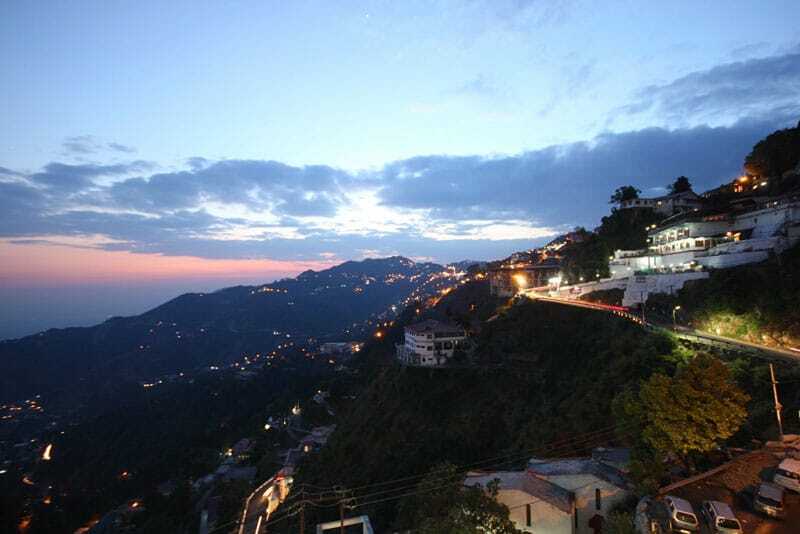 With restaurants, hotels and shops at every nook and corner, tourists spend hours sitting on the age-old benches and observing the geographical dominance of Mussoorie that makes this town a prominent tourist spot. Carry your sunglasses if you are visiting this place during the day as the sun beats down quite a lot at this altitude on a clear day. Carry a ball or rackets and shuttles to play with at the Mall. Plan out a picnic with friends and family as the Mall is a suitable place for such activity. Explore the shops at The Mall and buy some memoirs for your family and friends. Try out the local delicious dishes. Play some games with your friends and family and have a gala time. This is one place in Mussoorie where many guides are unavailable despite the fact that there are travel agencies at this very place. So, you can interact with the local community who would gladly share stories about this enchanting hill station. The best time to visit the Mall in Mussoorie would be during spring as the place is blessed by the soothing breeze and the colourful flowers at that time. The Mall is a few minutes’ walk from the main bus stop and can be reached easily by walking. The Mall is adorned with shops that have a display of a wide range of products. 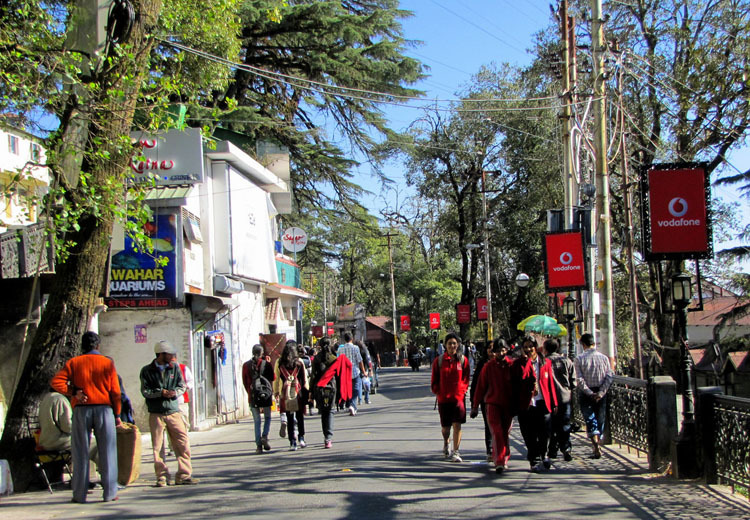 From the Kashmiri shawls to antique vases and bronze statues, The Mall is the best place for the shopaholics who visit Mussoorie. The Mall has got many legendary restaurants that serve fine quality of food from a century ago. The scenic beauty is marvelous from the periphery. If you are lucky enough to be able to visit Mussoorie during the festive season, you will get to see The Mall decorated to its optimum splendor. The peaceful surroundings of The Mall at Mussoorie help in calming the nerves down of every visitor. The visitor is automatically rejuvenated with a free spirit of life that helps him or her to carry forward in life one again with full vigour. Thus, this place is a must visit for all.